I've been servicing a location game, and on my last visit, the glass appeared to have cracked. 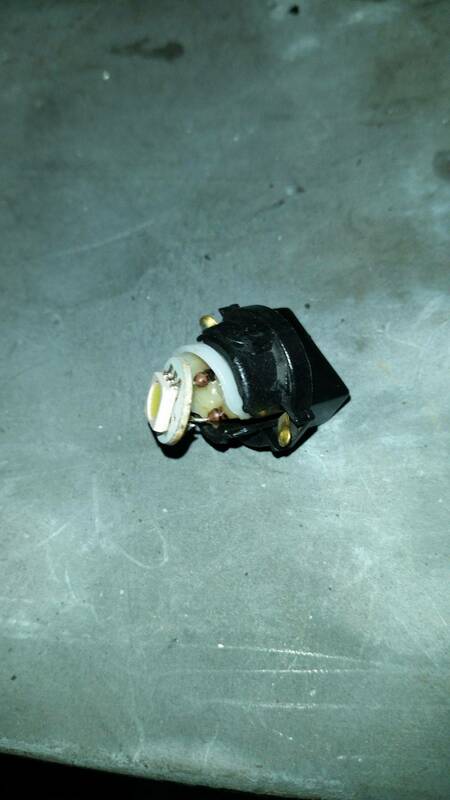 A number of fuses also blew, and a few LED bulbs melted (a few feature lamps and a couple backbox flashers). I can't say I've ever seen anything like this happen before--DMDs have fairly thick glass. Thought granted, it was just starting to outgas. The speaker plastic was undamaged, so I doubt it was physical damage, especially considering the other issues that surfaced. Yeah, I'm not sure what it was. I checked all the voltages, and they seemed to be fine. The game played fine afterwards, including during a long session of multiball. This wasn't the first time I've seen melted LEDs in this game, though. There is certainly something abnormal happening when I'm not around to see it. Speaker plastic is more flexible. I'd say it took a hit. DMD didn't give. Is this game by chance a reimport that was not properly converted to 120v ? No, it's a domestic game. Looks like it took a hit, Fuses blown could have been when it got hit, it shorted out. Even -112v, -100v, 68v for the DMD tested good? Was there a thunderstorm that day? Even -112v, -100v, 68v for the DMD tested good? Was there a thunderstorm that day? The game has been "Terminated"..
By hit i ment punched with a fist. I wonder if anyone was doing construction work or moving things around at that location and managed to bonk the speaker panel with something big and heavy (big 1-inch piece of plywood or something like that). I figure you would have to hit the speaker panel pretty hard to snap the DMD like that. I figure you would have to hit the speaker panel pretty hard to snap the DMD like that. Or some jerk punched it. What's the game? Somebody might have not liked what they saw on there. Heh...I kind of think it would be out of reach, though--it has other games beside it. , if someone was beating on entire machine? I kind of doubt it it was something physical. There are plenty of staff there keep an eye on the games. I wonder if anyone was doing construction work or moving things around at that location and managed to bonk the speaker panel with something big and heavy (big 1-inch piece of plywood or something like that). It's shared with other games, but no other equipment. Another pin is on the same circut, and there haven't been any problems with it. Never under estimate the ability of an idiot. Well if it has the profanity rom in it somebody might have been offended. I don't have mine anymore but that one really cracks me up! Well if it has the profanity rom in it somebody might have been offended. That ROM is free play only. This game was on location. It's running L-8 with the LED patch. Well that explains why the coin box on my T2 was always empty. Not good for TZ owners. We'll never see the update he did where the third magnet did more. I believe shown once at Expo years ago. Ted had another update up his sleeve? Very interesting, never knew that. The third magnet doesn’t do much in my TZ unless the game knows the whereabouts of the ceramic ball and Multiball starts. Also helps if the stars are aligned, the moon is in the 7th house, and Jupiter aligns with Mars. When it happens though, it’s pretty neat. If the DMD suddenly died it may have put alot of stress on the DMD controller which could of caused voltage spike? The DMD board was fine afterwards, and its two fuses didn't blow when the old DMD died. The driver board blew solenoid fuses, lamp fuses, and the 5v logic fuse. A couple more ideas. First of all, what do we know... the DMD cracked, fuses blew (solenoid, lamp, 5V digital), both insert and flasher LEDs melted (and it's not the first time LEDs have melted in this game). Thinking about what these things have in common, maybe it's time to look upstream towards the power transformer. Could it be failing, with a winding in there that shorts out intermittently (creating overvoltages)? I haven't seen that before, but does the transformer smell like it got hot? 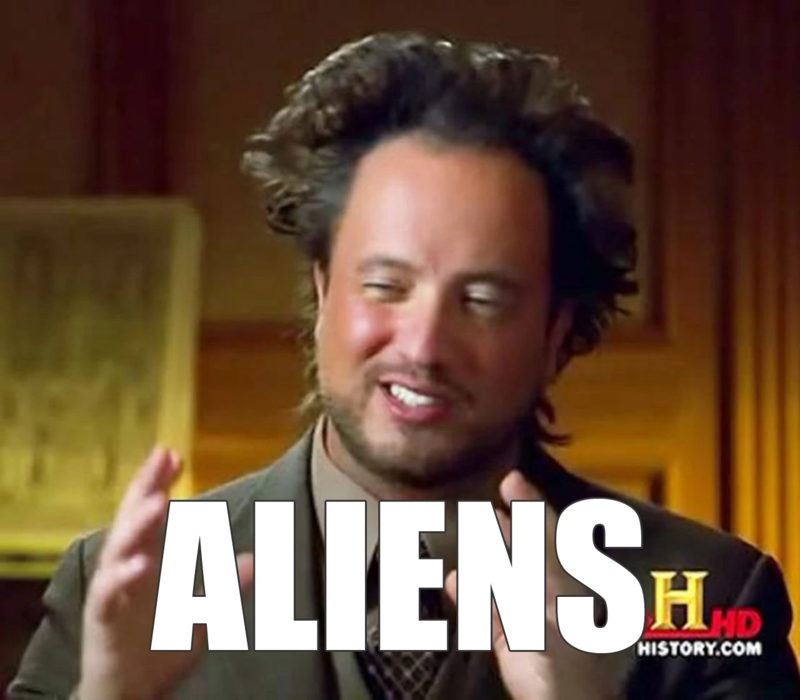 Any evidence that a liquid spilled into the cabinet? I wonder if you can re-create the problem by jarring the transformer and/or harnesses while the power is on. does the transformer smell like it got hot? Nope. No smells at all, or anything overheating. Any evidence that a liquid spilled into the cabinet? Nope, the game is clean. No loose parts or screws or whatnot rolling around either. I wonder if you can re-create the problem by jarring the transformer and/or harnesses while the power is on. I jostled & nudged the game after the repair, and nothing seemed to be amiss. I didn't mess with the harness or transformer directly. Never knew there was another potential revision level. Is there a story / thread on it ?. Someone tick him off? Every year our company gives out awards, some are glass. My buddy rearranged his office and the next day when he came in, there was an arc of melted crap across his desk. Focusing the sun from the window literally put a line of melt and holes in the plastic tape dispenser he had on his desk. Could there be something that blasts that spot with sun and raise the temp just in one corner/side of the DMD/game? There is some indirect exposure to sunlight, though I don't think it would see a solar death ray like you described. YES it happened to me on one of my congos on location. i was puzzled and installed a brand new DMD. a couple weeks later the same thing happened to the new dmd. 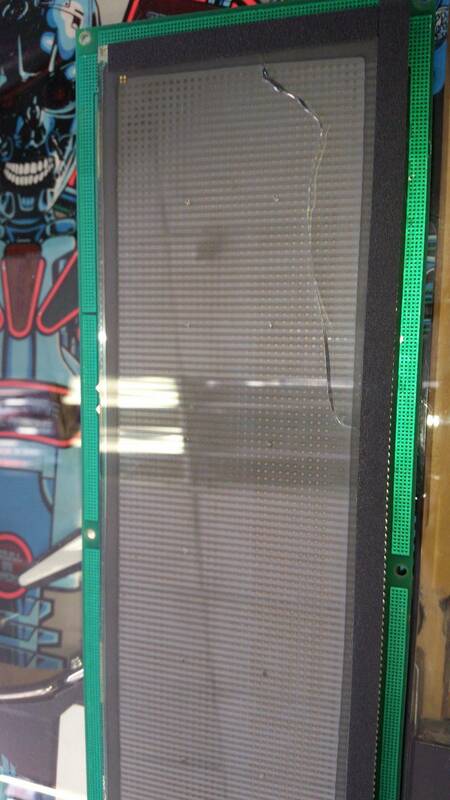 so yes, 2 dmd displays cracked just like yours. the issue was the av board. the machine was on daily for about 12 hours. I'm fairly confident this is an electrical issue with the circuit the game is on. We had a location game (a Data East Lethal Weapon 3) at a certain place that had an air conditioner on an overloaded circuit. Sometimes when the air conditioner kicked on it would cause such a large voltage drop in the line it would give the game issues. Before we left the location the game was one day not working at all. There were several coils locked on (which we verified to be like, 5 shorted MOSFETs) and multiple fuses that had not only blown but actually shattered. The owner refused to acknowledge there was an issue. So I'm a firm believer in bad power and what it can do to pinball and arcade games. I would definitely install a power conditioner on all your equipment there. Don't take chances. Crash last edited this post 9 months ago. I'm fairly confident this is an electrical issue with the circut the game is on. We had a location game (a Data East Lethal Weapon 3) at a certain place that had an air conditioner on an overloaded circuit. Sometimes when the air conditioner kicked on it would cause such a large voltage drop in the line it would give the game issues. Before we left the location the game was one day not working at all. There were several coils locked on (which we verified to be like, 5 shorted MOSFETs) and multiple fuses that had not only blown but actually shattered. The owner refused to acknowledge there was an issue. also could be massive back emi spikes if the aircon had little protection circuitry. Well, it's been about 3 weeks at this point, and so far there haven't been any further problems. No more blown fuses, no more melted bulbs, and the replacement DMD has been working fine. Maybe the original outgasing display was causing things to go haywire? Though, I've never seen a DMD cause these sorts of things before. It’s definitely not the DMD, it was probably a mains power surge as I mentioned above. read what i posted again. you may have missed it. This is a T2 and doesn't have an AV board. However, do you remember what the issue was on your AV board? I was playing LAH tonight and my wife came in and started playing my WCS94 next to me, I looked over and saw the dmd was out and she said it was out when she started. I had the game on already and had played a while before moving over and now I noticed a crack in the display from where I was. Everything else continued fine as she played and then I connected my LAH dmd which came up fine in the WCS94 so definitely the display. I didn’t see other threads besides this one so thought I’d chime in with it happening to me and to see if any other problems have come up with those that have had it happen. The display I have was actually in the cabinet bottom when I bought it. 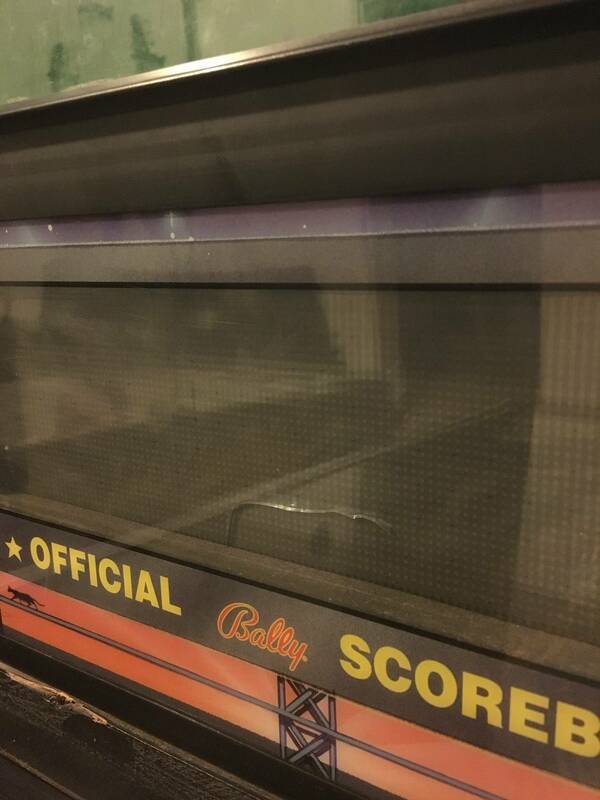 (Game was on route) The installed display was barely visible and when we lifted the playfield for me to inspect there was another underneath. We hooked it up and it looked good so we left it in and I bought the game. I knew it may not last too long but it cracking was unexpected. Time to order a ColorDMD. That kind of looks like a stress fracture.